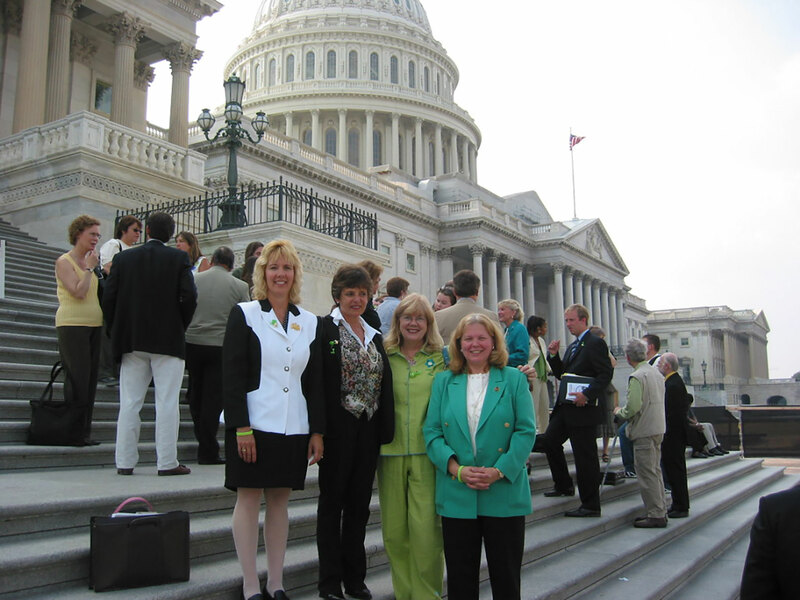 Founded in and serving the Washington, DC area since 2001, NatCapLyme educates government officials and healthcare industry leaders about Lyme and tick-borne diseases on behalf of individuals and families of those afflicted with such diseases. We actively engage with all sides of the Lyme and tick-borne disease issue to encourage measurable progress. NatCapLyme is an all-volunteer organization, but we have an appointed legal and legislative counsel, as well as individual board members, who bring political and legal experience to the table. Our legislative activities are ongoing, always focused on improving the lives of tick-borne disease sufferers. The National Capital Lyme Disease Association (NatCapLyme) today announced that the Virginia Senate passed landmark legislation relating to a patients right to treatment under guidelines listed in the National Guidelines Clearinghouse (the “NGC”). Lyme can be tremendously debilitating, leading to loss of livelihood and even normal daily functioning. Lyme patients are desperate for treatment options. Increasingly, however, Virginia doctors are refusing new patients who present with the symptoms of Lyme or other tick-borne diseases. Where it appears that a patient may require extended antibiotic treatment beyond the standard 28 days, they believe that reporting and treating these cases can lead to sanctions from the Board of Medicine. Understandably, physicians do not want to risk exposure, despite the fact that such extended treatment is suggested under at least one NGC published guideline. SB-671 provides that when patient chooses to accept treatment in accordance with a clinical practice guideline maintained by the NGC, a health care provider will not be subject to health regulatory board investigation or hearing based solely on the election to follow such clinical practice guideline. The NGC is an initiative of the U.S. Department of Health and Human Services, in partnership with the American Medical Association and the American Association of Health Plans. Housed in the Agency for Healthcare Research and Quality, its mission is to provide health professionals with objective information on clinical practice guidelines and to further their dissemination and use. The purpose here is simply to provide that – when expert criteria have been met sufficiently to be published by the NGC – medical practice in accordance with that guideline should not, alone, lead to physician discipline. The National Capital Lyme Disease Association is an organization with over 3,000 members, including fifteen chapters throughout the District of Columbia, Virginia, Maryland, and North Carolina. The U.S. Centers for Disease Control considers Lyme disease to be the fastest spreading tick-borne disease in the U.S. with an estimated 329,000 new cases each year. The latest CDC statistics also report that Virginia is among the top-10 Lyme disease states. Lyme is serious. If left untreated or treatment is delayed, the disease can become chronic with serious, debilitating complications including severe neurological, cardiac and arthritic problems. Initial signs of Lyme disease may include a bull’s eye rash, fatigue, and flu-like symptoms. A few examples include: joint pain and swelling, heart disease; neurological problems such as Bell’s palsy, dizziness, irritability, ADHD-like symptoms, cognitive dysfunction, muscle weakness and neuropathy. YEAS–Alexander, Black, Carrico, Chafin, Chase, Cosgrove, Dance, DeSteph, Edwards, Garrett, Hanger, Howell, Marsden, McPike, Newman, Obenshain, Reeves, Ruff, Stuart, Sturtevant, Surovell, Vogel, Wagner, Wexton–24. NAYS–Barker, Deeds, Dunnavant, Ebbin, Favola, Lewis, Locke, Lucas, McDougle, McEachin, Miller, Norment, Petersen, Saslaw, Suetterlein–15.